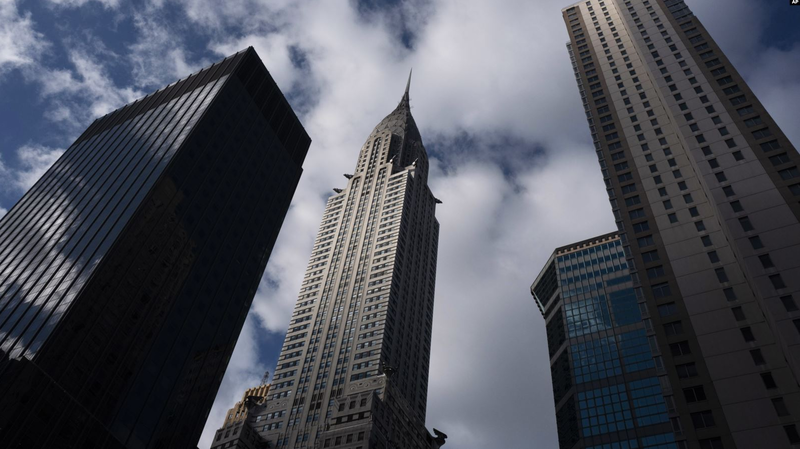 New York City's iconic Chrysler Building is back in the news after being sold. Note the stainless steel and brick exterior. 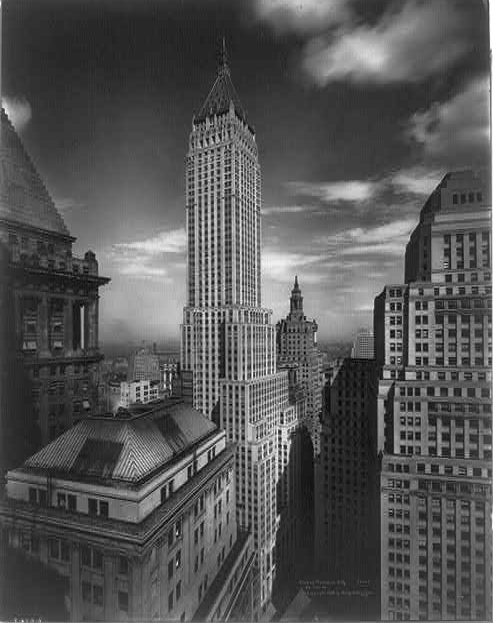 Once the tallest building in the world at its completion in 1930, it is now the 8th tallest in Manhattan. The recent sale of New York City’s brilliant Art Deco-style Chrysler Building to new owners has piqued new interest in the stainless steel clad, 77-story skyscraper’s history, which is located on the East Side of Midtown Manhattan in New York City, at the intersection of 42nd Street and Lexington Avenue in the Turtle Bay neighborhood of Manhattan. At 1,046 feet, the structure upon completion on May 30, 1930, became the world's tallest building and first to rise higher than 1,000 feet. 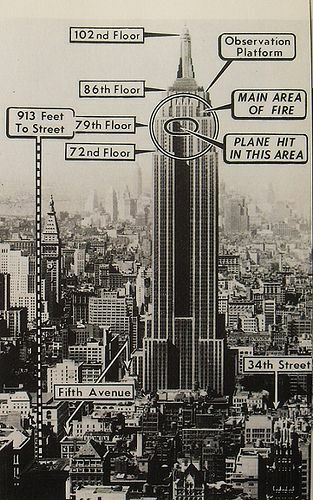 It was surpassed 11 months later by the Empire State Building in early 1931. Financed solely from automaker Walter Chrysler’s pocketbook and designed by noted architect William Van Alen, the building remains the tallest brick building in the world with a steel framework. As of 2018, the Chrysler is the eighth-tallest building in the city, tied with The New York Times Building. 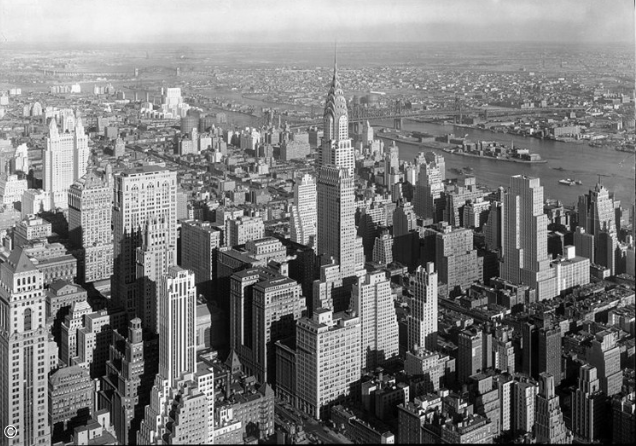 That resulting skyscraper mania in the late 1920s was fueled by a bustling post-war economy that saw Manhattan’s population outpace London as the world most populous metro area. Rampant real estate speculation flourished in an era characterized by profound social and technological changes. Consumer goods such as radio, cinema, and the automobile—whose use grew exponentially in the 1920s—became widespread. In 1927, Walter Chrysler's automotive company, the Chrysler Corporation, became the third-largest car manufacturer in the United States, behind Ford and General Motors. The following year, Chrysler was named Time magazine's "Person of the Year". 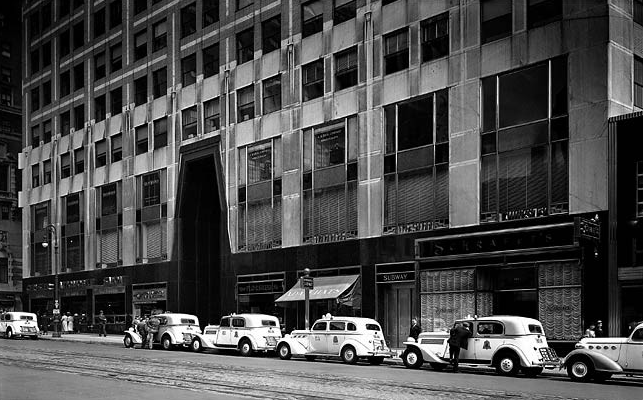 The building would serve as Chrysler Corporation’s headquarters from 1930 to the mid-1950s. 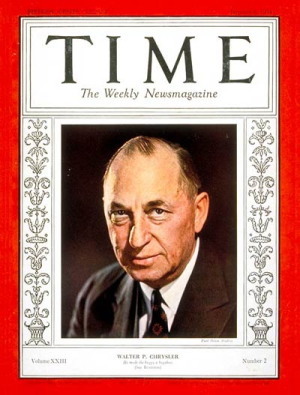 Walter Chrysler died in 1940 and the family sold the building in the mid-1950s. The resulting high rise construction gave Manhattan title to having the world’s tallest buildings from 1911 to 1974. The Sears Tower in Chicago and the twin World Trade Center twin towers and others across U.S. have long surpassed it. Although, Walter Chrysler paid for construction ($15 million) from his own funds (so his children could inherit the tower), the land where the building soars was never owned by the Chrysler family or corporation. The land on which the Chrysler Building stands was donated in 1902 to The Cooper Union, a Manhattan college for the advancement of science and art in 1902. 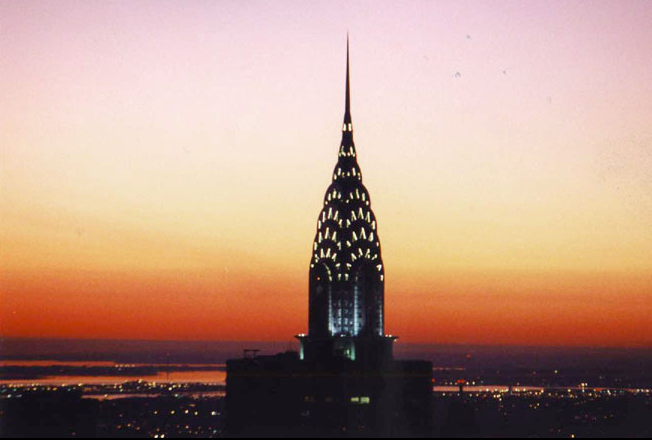 That deed is germane to today’s discussion of the sale of the Chrysler Building. More on that further down in this post. 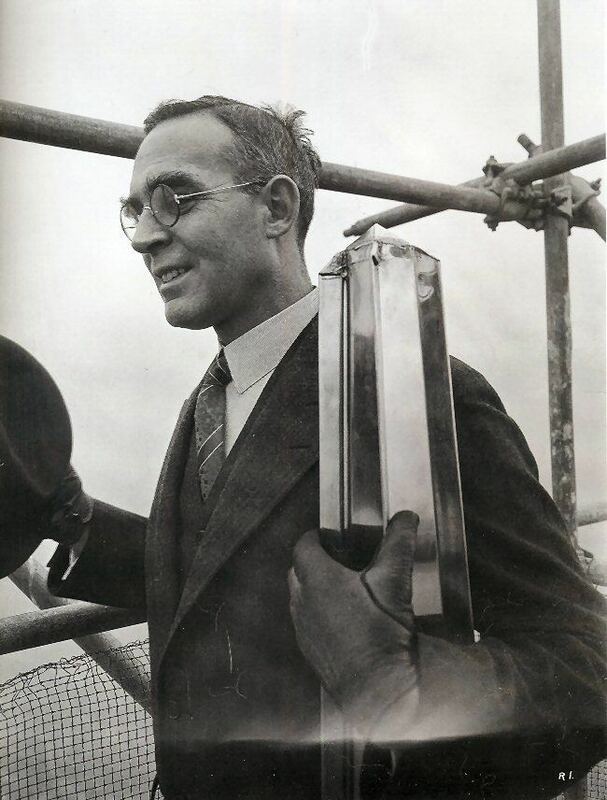 In April 1928, after a 67-year lease for the land was signed, the original developer ran out of money and signed the project over to architect Van Alen and Walter Chrysler. 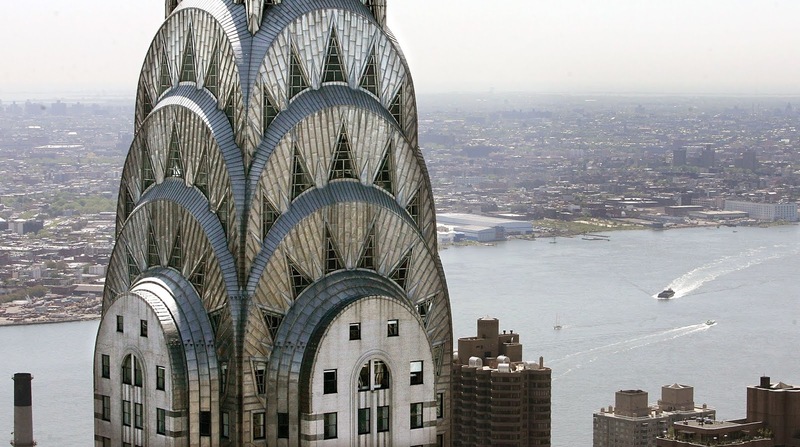 In 1997, Tishman, a large developer spent $100 million to renovate the 1.2 million-square-foot Chrysler Building. In 2008, Tishman Speyer sold 90 percent of its share of the building’s ownership to Mubadala, an Abu Dhabi investment firm for $800 million. 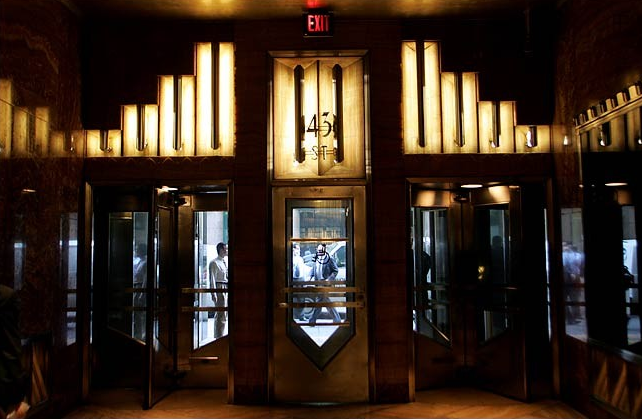 In March 2019, the iconic art deco tower reportedly sold for a surprisingly low $150 million to Aby Rosen's RFR Holdings and Signa Holding (Austria-based). Rosen's portfolio includes bringing the Seagram Building and Lever House into the 21st century. Many speculated that the lower price was forced because of the age of the building. Given buildings in mid-Manhattan are averaging 50 years or older and many storefronts are going wanting because of e-commerce advances in the retail sector, realtors close to the deal say Chrysler’s occupancy rate is a respectable 19% for an aging building but below the city average. A saving grace is the location, location, location factor. The mid-town area is still popular as a location albeit not as flashy and new as several nearby newbie towers and the Hudson Yards district on the far West side raiding midtown’s long-range appeal. Nonetheless, it is competing against newer office towers with large floor-to-ceiling windows and all the modern amenities. Still, the building is among the best known in the city -- even to people who have never been to New York. It is famous for its triangle-shaped, vaulted windows worked into the stylized crown, along with its distinctive eagle gargoyles near the top. It has been featured prominently in many films, including Men in Black 3, Spider-Man, Armageddon, Two Weeks Notice and Independence Day. Another factor adding to the recent low sale price comes from the fact that the landowner, the aforementioned Coopers Union College still owns the land. The incentive to sell the building at such a huge loss has been bandied about in the financial press because of the soaring rent the owners pay to Coopers Union. The rent is rising from $7.75 million last year to $32.5 million this year to $41 million in 2028. Meanwhile, recent rents in the building itself are not rising nearly that fast. 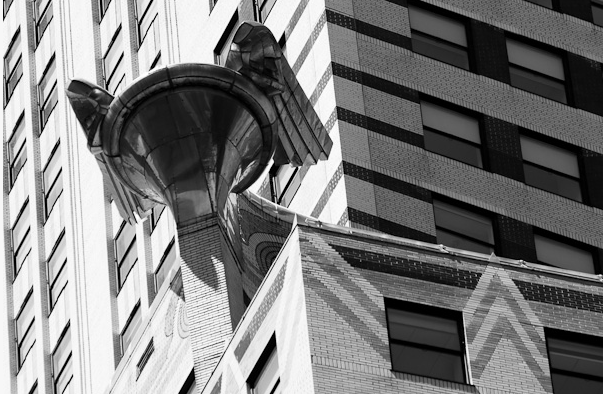 Yet, despite early critics, perceptions of the building have slowly evolved into its now being seen as a paragon of the Art Deco architectural style; and in 2007, it was ranked ninth on the List of America's Favorite Architecture by the American Institute of Architects. As for its future, it will be a utilitarian site from tenants who may not care for up-to-the-minute modern amenities but prefer a lower rent. The location remains solid for professionals, especially architects. Image shows lower level hood ornament (Plymouth) style art pieces (remember an automaker paid for it) and a close up of the brickwork. It remains the world's largest brick facade building. And, by today's standards, the windows are small compared with new high rises, which have floor to ceiling glass views. 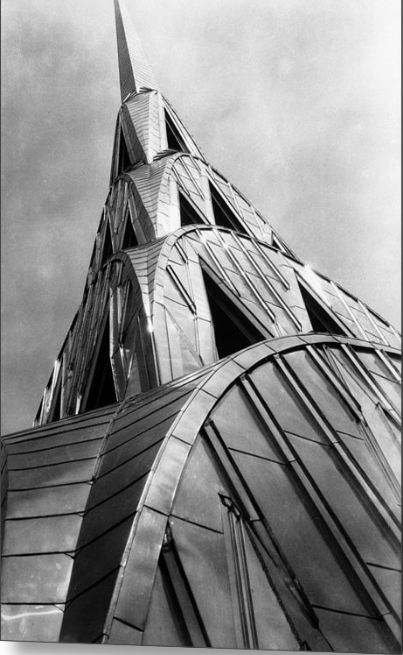 In closing, the Chrysler Building remains a frequent subject of photographers. In December 1929, Walter Chrysler hired the noted photographer Margaret Bourke-White to capture it for publicity purposes. 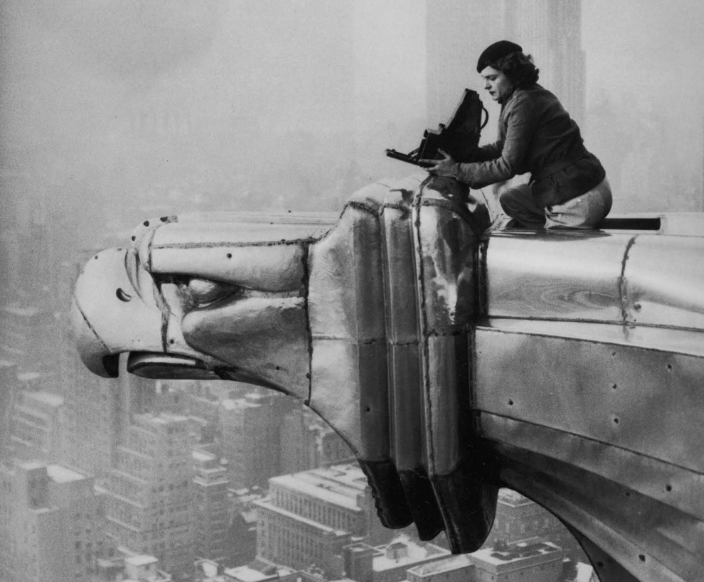 In 1934, Bourke-White's partner Oscar Graubner took a famous photo called "Margaret Bourke-White atop the Chrysler Building", which depicts her taking a photo of the city's skyline while sitting on one of the 61st-floor eagle ornaments. On October 5, 1998, Christie's auctioned the photograph for $96,000. (Top) Photographer Margaret Bourke-White in 1930; one of her images (above). were under construction: Chrysler building, 40 Wall Street (above) and the Empire State Building (below).